Soak raisins in the rum for an hour before preparing the apples. Toss apples and raisins with the lemon juice. 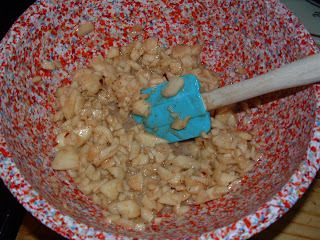 Toss the apple mixture with the dry mixture until well coated. Add vanilla and cream until well blended. Melt butter in cast iron skillet (preferred). 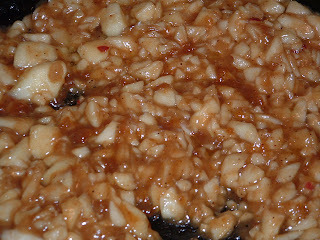 Add apple mixture and cook for 5-7 minutes until tender. 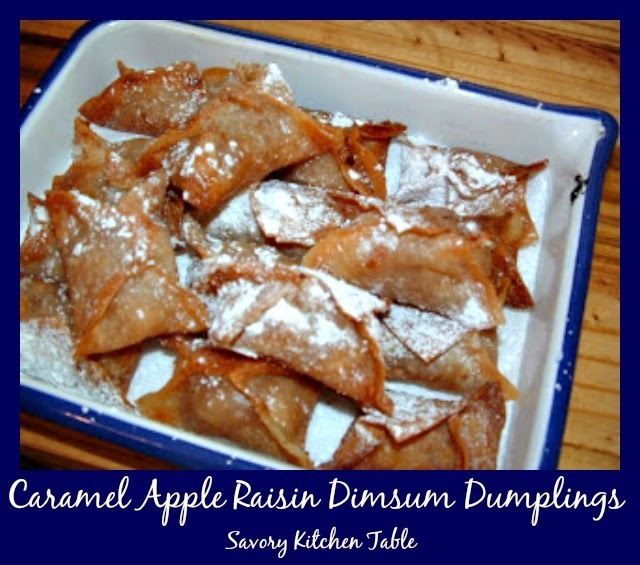 Fill each dumpling wrapper with a heaping teaspoon of the apple mixture. Wet and seal the edges. Bring oil to a frying heat. 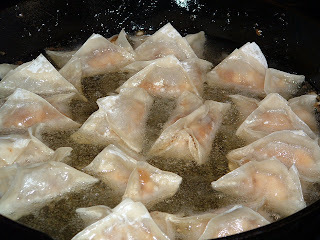 Add several of the dumplings, but do not crowd the pan. Cook until golden brown. Sprinkle with powder sugar or cinnamon sugar.